Photo taken in Italy, just below Rocca di Brisighella in the province of Ravenna. The light beige remnants of insects seem to be harnesses (in fact skin, but my son liked the idea of calling it a harness). If I’m correct, there are the left overs of cicadas (or tree crickets). Cicadas are known for their “singing” in the summer (I consider it to be a lot of noise, not singing). They were on the same side of the trees, and there were about 10 to 20 on each tree. 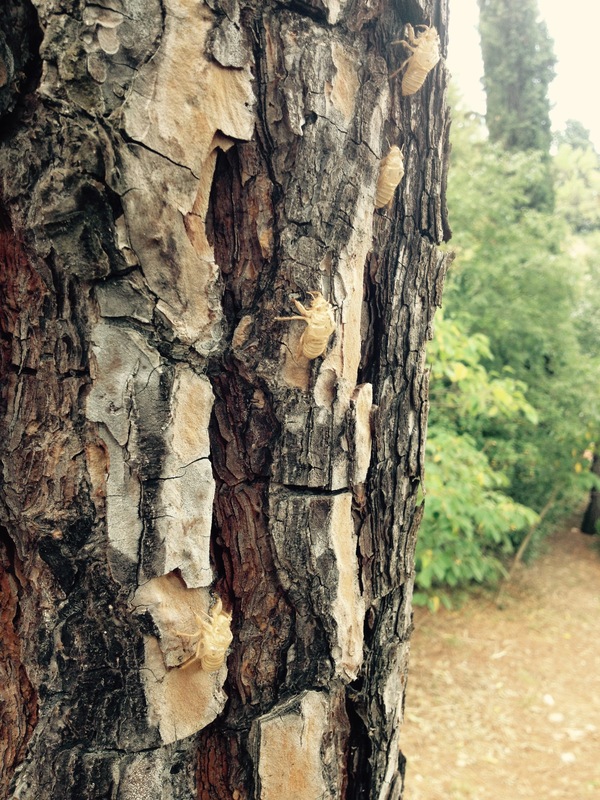 This entry was posted in Italië, Natuur and tagged boomkrekel, Brisighella, cicada, Italy, Ravenna by strick66. Bookmark the permalink.